Creed 2 review: "Goes toe to toe with the best the Rocky series has to offer"
Blow for blow Creed 2 is a closer match for its heavyweight predecessors than anyone dared hope. Transparently formulaic at times – but boy will it get your blood pumping. 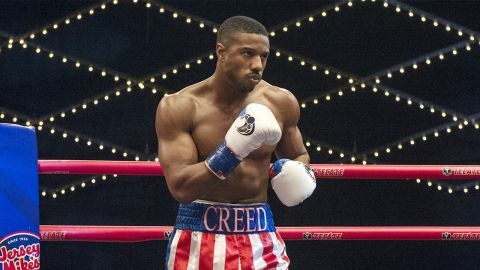 Ryan Coogler’s inspired Rocky reboot/sequel Creed was a first round knockout in 2015, confirming the writer/director and his star Michael B. Jordan as two of cinema’s most exciting new voices. It also gave Sylvester Stallone a platform for his most affecting turn yet as ageing former heavyweight champ Rocky Balboa. But with Coogler busy in Wakanda, can the hotly anticipated return bout go the distance? Well, does an Italian Stallion eat lightning and crap thunder? The masterstroke for long-serving fans of the Rocky series is that this isn’t just a Creed sequel, it’s also a continuation of beloved Cold War chapter Rocky 4 (1985). That film served up a full cheese platter as Rocky fought Russian granite statue Ivan Drago (Dolph Lundgren), following the death of Apollo Creed at Drago’s hands. Stripping out the dated jingoism, Creed 2 smartly mines the series’ history for meaty dramatic potential, lining up the pieces for a sins-of-the-fathers grudge match between the hard-hitting sons of Creed and Drago. In this respect, Creed 2 actually improves on its stellar predecessor. Instead of a personality-free slab of Scouse muscle, Ivan and Viktor (Florian Munteanu) have a psychological grounding, both bearing the scars of Ivan’s defeat to Rocky. Viktor – a child “raised in hate” with nothing to lose – is a beast in the ring, but Munteanu does a respectable job outside the squared circle as well, while Lundgren’s onscreen reunion with Stallone is electric. If anything, the script throws too much of a pity party for the inseparable Soviets, intensifying the sympathy when you should be booing. Coming out of the corner swinging, this is every bit the air-punching crowd pleaser you want a Creed sequel to be. There are more moving motivational speeches from ‘Rock’ (prepare to blub early doors as Rocky recalls his proposal to Adrian); the emotional stakes are increased in Donnie and Bianca’s relationship; and there’s a rousing training montage that will have you shadow boxing in your cinema seat. But while Creed 2 gives you everything you want, it also gives you everything you expect, sticking so closely to the sports-movie template it’s possible to map out all 12 rounds from the opening bell. A few left(field) jabs wouldn’t have gone amiss. Tessa Thompson’s Bianca gets a little sidelined, as does the social concern Coogler brought to the series. And, as with Creed, emotional mileage will vary depending on your investment in the octalogy. As for the headline fights, while there’s nothing here to rival the breath-snatching audacity of Creed’s single-take scrap, for a second-time feature director Steven Caple Jr. has assembled a tricky sequel with the confidence a veteran. It’s a film that goes toe to toe with the best the Rocky series has to offer and comes out with its head held high. Find out what else is hitting cinemas with our most anticipated upcoming movies, plus the films we think are already the best movies of 2018.